Did you know that 60% of Millennials are eager to shop by image (a.k.a. visual search)? And that more than 40% of CMOs worldwide opt to keep ad operations and digital marketing functions in-house? Emerging digital tech and tighter control are just some of the themes covered in the Commerce & Digital Marketing Outlook 2019, which dives into the 7 biggest digital marketing trends to watch in the coming year. 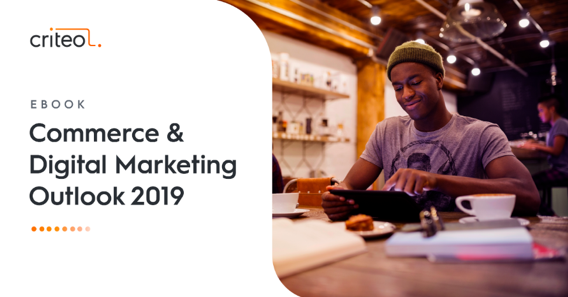 Download Commerce & Digital Marketing Outlook 2019 today for data and insights that can help you win in 2019 and beyond.